ACOP and guidance on the Control of Asbestos Regulations 2012, for employers on work which disturbs, or is likely to disturb, asbestos, asbestos sampling and laboratory analysis. 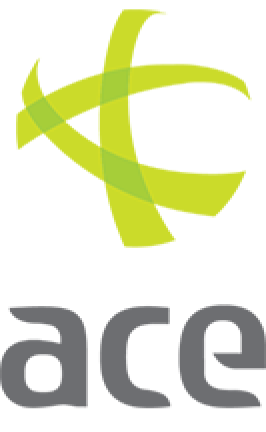 Here at ACE we offer a range of services that cover the full spectrum of asbestos consultancy matters. From first contact through to completion of works, all of our staff work tirelessly to ensure that the customer’s requirements are understood and interpreted in a manner that supports the process of achieving full statutory and regulatory compliance. Typically, customers using the full project management services of ACE are able to achieve reductions in incidents, accidents and emergencies, whilst having the added benefit of potentially decreasing costs, project delays and reliance on questionable source data. ACE has the technical expertise and experience to stress test each aspect of the existing policy and practice all whilst conducting health checks covering relevance, responsiveness and suitability. Accredited to ISO standard 17020, ACE are able to undertake a full range of surveys including Management, Refurbishment and Demolition, Re-inspections and validation of third party information. At ACE we have sufficient expertise and experience to prepare detailed soil sampling strategies, undertake comprehensive site investigations, identify the type and extent of asbestos in Soils and develop appropriate control measurements and management plans. ACE has two existing purpose built UKAS accredited laboratories with a third currently being constructed in the Midlands. Once at full capacity our new facility will be one of, if not the largest, asbestos testing laboratories in the UK. Currently we have capabilities to analyse over one hundred and fifty thousand samples per year, however as of May 2016 this number will dramatically increase to over three hundred thousand per annum. ACE offers first class UKAS accredited analytical services which enables customers to have direct access to an unprecedented knowledge base and state-of-the-art mobile laboratories strategically placed throughout the Country. Having the ability to undertake Background, Leak, Personal and Reassurance Monitoring as well as Four Stage Clearances enables ACE to meet the needs of even the most urgent or complex of scenarios. Our highly skilled and knowledgeable consultants have the ability to prepare requests for quotations, produce form of tenders, produce CAD site plans, conduct tender return analysis and supply suitable agreements and contracts to complete works to a satisfactory standard. At ACE we pride ourselves on our transparent methods of tender security, impartiality and integrity. Our cost managers are able to prepare indicative budget costs for the most complex of projects whilst utilising third hand and or historical information as source data. We ensure that any and all quoted figures, either directly or indirectly, are indicative of the planned works and that robust financial controls are implemented throughout each phase of operations. At ACE we understand the process of project management is an application of processes, methods, knowledge, skills and experience to achieve a desired standard or objective. For this reason our project management teams are meticulous when planning and defining projects, fastidious in the execution of planned works and experts in delivering customers objectives. Upon appointment of ACE as the customers site/project representatives, we ensure that all works, be licensable, notifiable or not, are undertaken in accordance with regulatory requirements and the needs of the customer. Prior to commencement of activities all aspects of the scheme or project are taken into consideration. These may include; identifying preferred sequencing, limitations, access, training, methodologies, risk assessments, welfare, facilities, programs and all other material that maybe relied upon. ACE have the capabilities and experience to manage even the most complex or challenging of projects whatever the environment. Our install managers have considerable knowledge and expertise from all areas of the construction and facilities management sectors. This access to excellence could ultimately see a significant reduction in costs and an increase in quality. ACE staff will work with you and your organisation to ensure the risk from asbestos is minimised by reviewing and updating risk assessments, conducting routine testing and sampling or advising on appropriate control strategies. You can feel rest assured in choosing ACE when assessing the risks posed by asbestos. *Accreditation extension is pending for additional services.